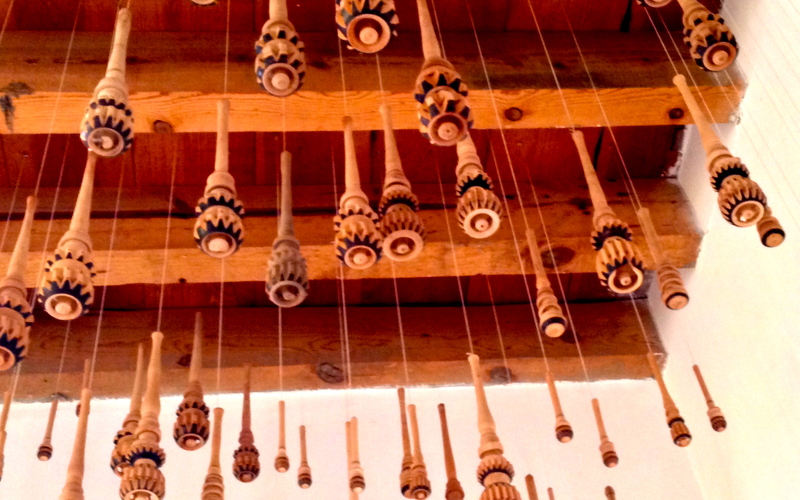 A molinillo is is the traditional Mexican turned wood whisk used in the preparation of hot beverages such as hot chocolate and champurrado. Held between the palms and rotated by rubbing the hands together it creates a creamy froth in the drink that makes the addition of milk unnecessary. And while I don’t make a lot of hot chocolate myself, I nevertheless found myself transfixed by the artistry as well as the mechanics of the molinillo on display at Mucho Mundo Chocolate. Rest assured I’ve got one safely squirreled away in my luggage.